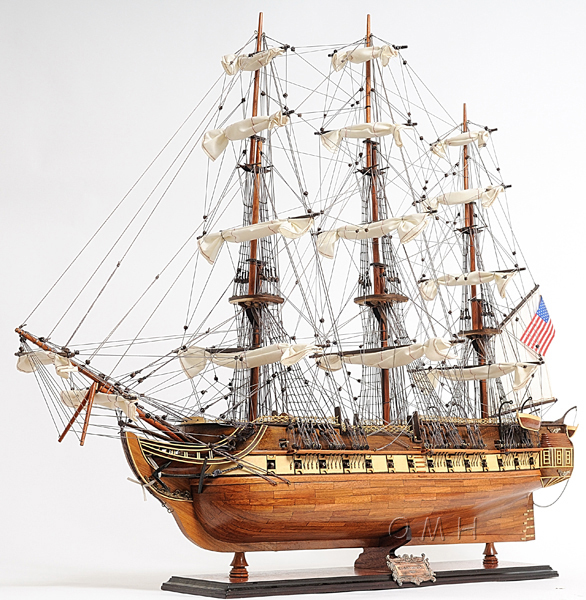 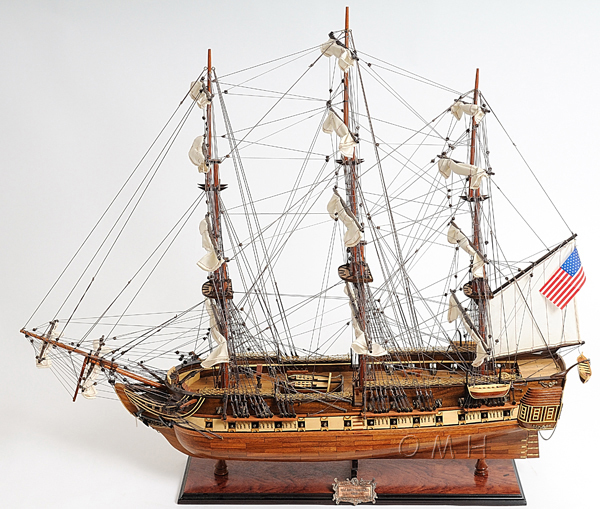 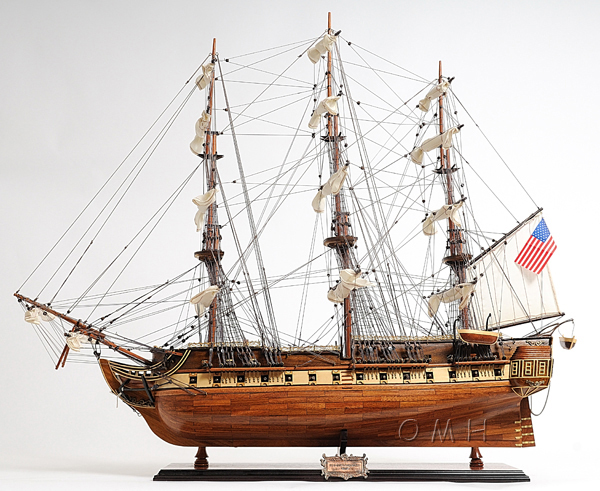 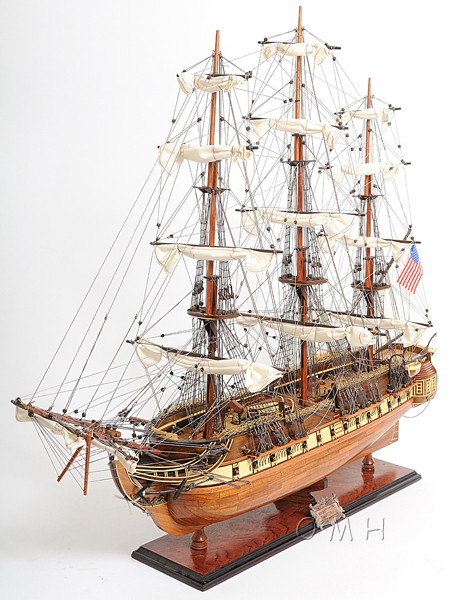 This is Museum-quality, Fully Assembled edition of the famous USS Constitution “Old ironside”. 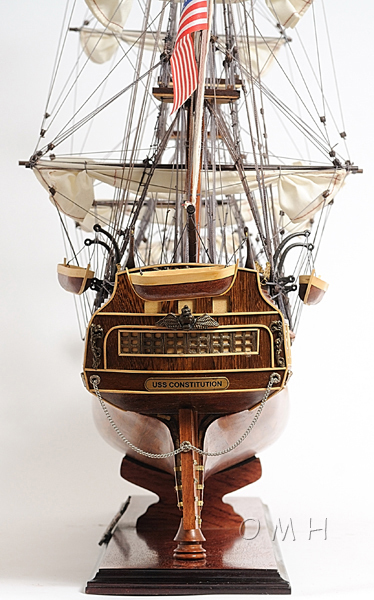 It is part of an exclusive edition where the hull is laser cut with a unique serial number. 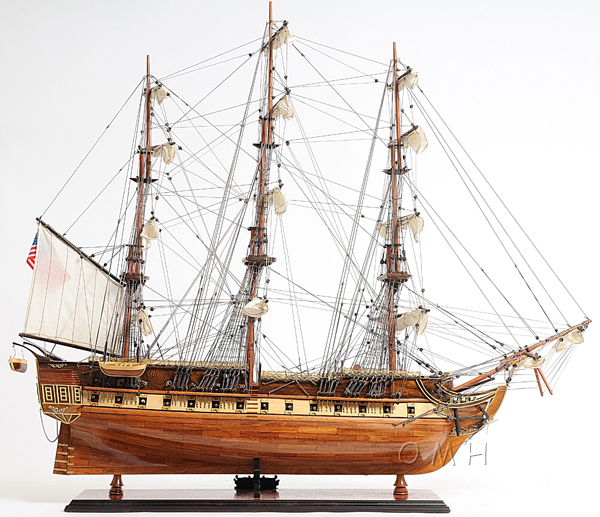 The model is 100% hand built from scratch using “plank on frame” construction method. 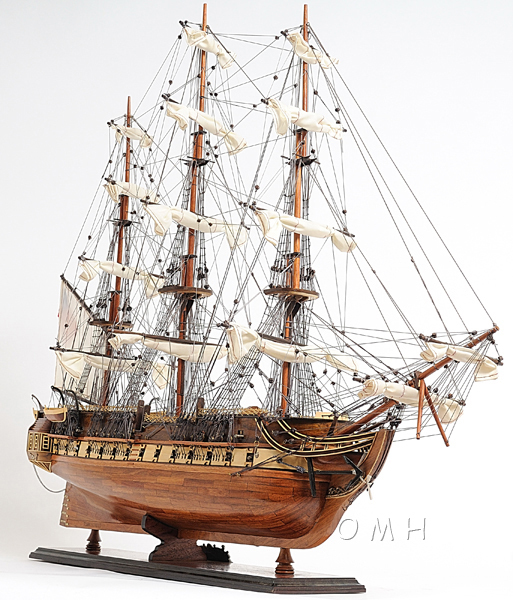 Our master craftsmen have spent more than 100 hours to finish it. 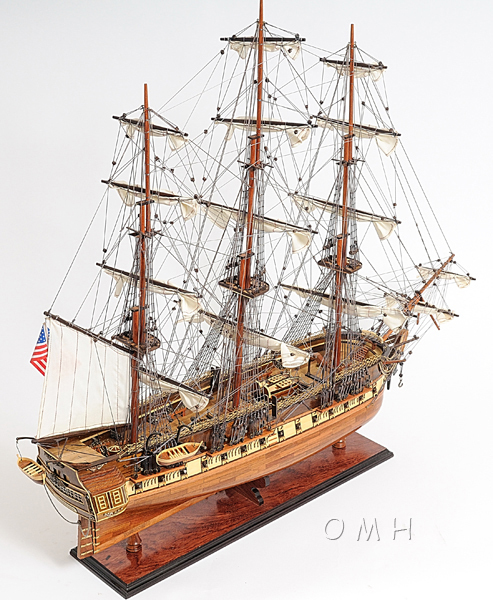 One bold feature that makes this model standout is the art of wood use. 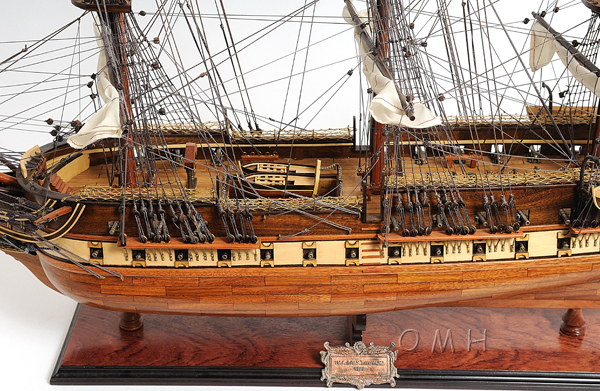 Rosewood, mahogany, teak and other exotic woods are carefully selected to accent each part of the model. 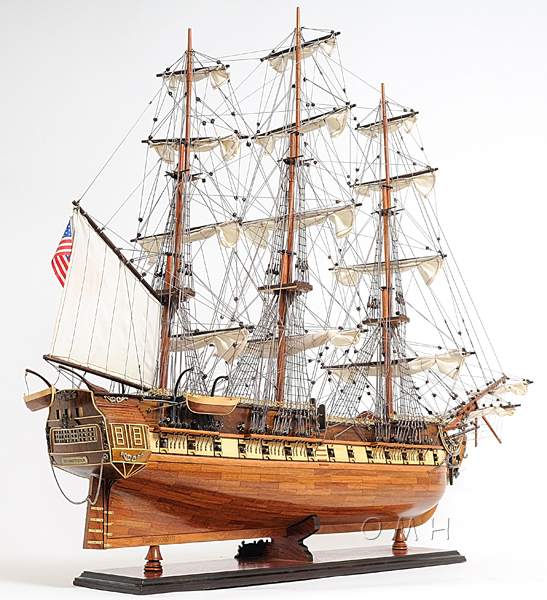 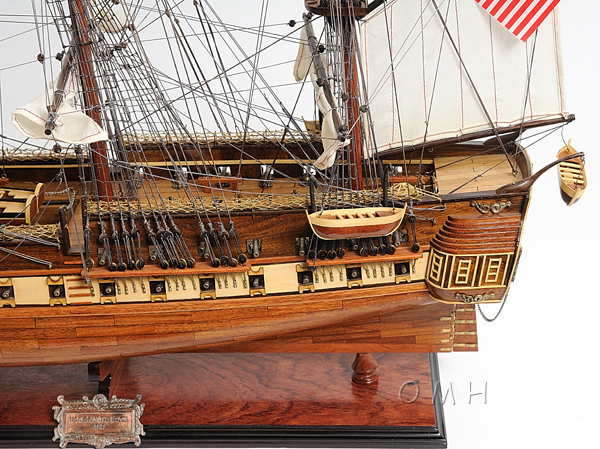 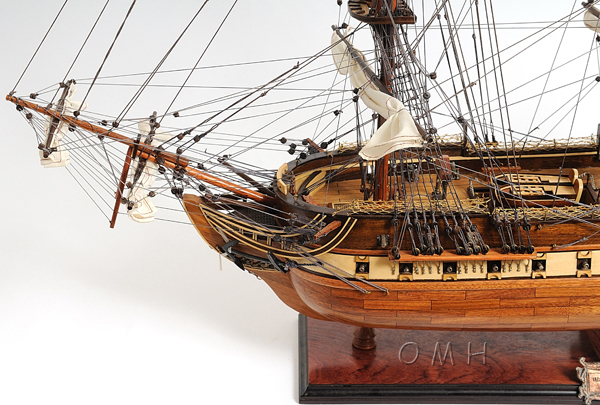 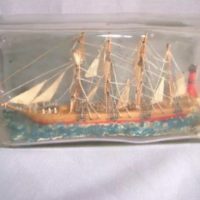 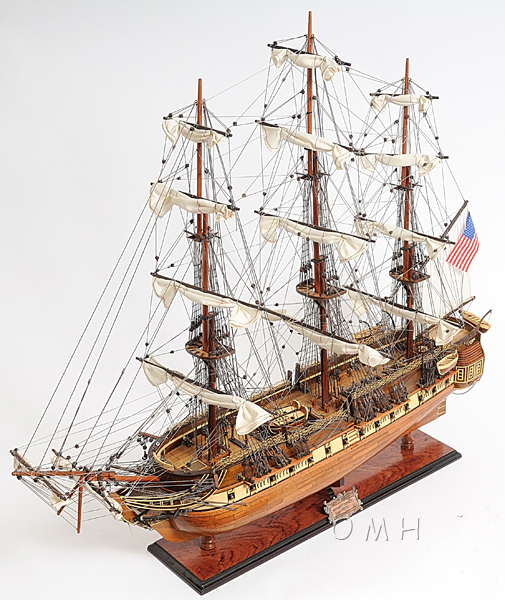 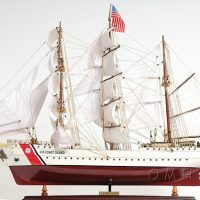 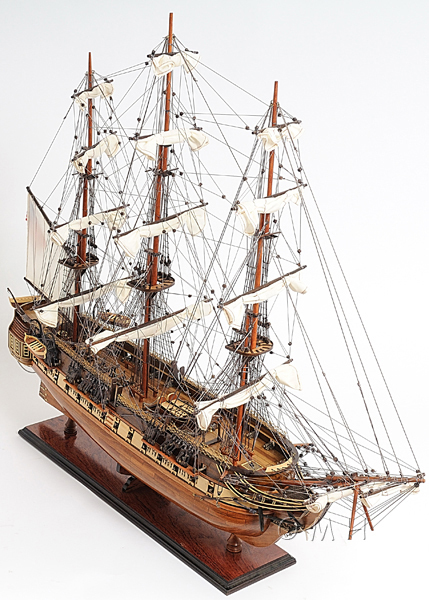 This replicas magnificent details include metal anchors and cannons, authentic crows nest, advanced intricate rigging, rolled sails, wood inlay hull, inlay deck, an ornate stern and many more. 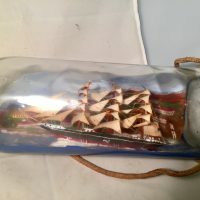 No plastic parts! 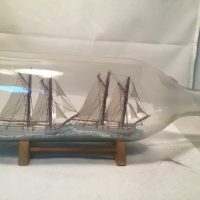 Comes on a solid wood base, with metal nameplate.